Alan Smith’s remarkable recovery from a seemingly fatal infection, discussed here and here, thanks to administration of 100 g/day vitamin C over vigorous opposition from his doctors, highlights both the slow pace of medical progress and the potential benefits of natural healing methods that cooperate with human biology. The doctors’ adamant opposition to vitamin C treatment is hard to fathom. There is ample clinical experience demonstrating that high doses of vitamin C can help the body defeat viral infections. Moreover, it is among the safest of known interventions. Over 4,000 species of mammals can synthesize vitamin C from glucose. In good health, mammals synthesize the equivalent in humans of 2 to 13 g/day; under disease or stress, vitamin C synthesis increases up to 100-fold. Under such conditions, vitamin C synthesis may constitute over 90% of glucose utilization – placing a heavy burden on the liver and arguing that vitamin C must have exceedingly important functions in diseased and stressed states. Three times in mammals – in bats, certain rodents (guinea pigs and capybaras), and the Haplorrhini branch of the primates (containing tarsiers, monkeys, apes, and humans) – the ability to synthesize vitamin C was lost. The loss in the Haplorrhini line was triggered by a retroviral infection about 60 million years ago. The loss of vitamin C must have had a selective advantage at the time in order to triumph. Whether that selective advantage would still hold today is unknown. Since most Haplorrhini today obtain the human equivalent of 1 to 4 g/day of vitamin C from diet, it’s plausibly the case that any advantage from loss of C synthesis would hold only for those obtaining gram doses of vitamin C through diet or supplements. A few unconventional doctors have generated most of the clinical experience with high-dose vitamin C therapy. Irwin Stone and Linus Pauling popularized vitamin C therapies in the late 1960s and early 1970s. Persuaded by Stone and Pauling, a doctor named Robert Cathcart, who had previously invented an improved artificial hip, began using high-dose vitamin C when he took up general practice in Incline Village, Nevada. Recall that in animals, vitamin C synthesis rises as much as 100-fold under disease. In humans, the limit of bowel tolerance rises up to 20-fold during illness. This suggests that bowel tolerance limit is an indicator of need. The effect of ascorbic acid is synergistic with antibiotics and would appear to broaden the spectrum of antibiotics considerably…. Overall, Dr. Cathcart’s experience was that benefits of vitamin C therapy could be huge. Well-nourished humans usually contain not much more than 5 grams of vitamin C in their bodies…. Anyone with a chronic infection, certain or suspected, should be careful to supplement gram doses of vitamin C.
A 2008 paper from Japan points to a third mechanism: that the oxidized form of vitamin C, dehydroascorbate, has strong antiviral activity in vitro. It may be that the benefit from ingesting high-dose vitamin C comes not from the C itself, but from higher levels of its oxidized waste product, dehydroascorbate . The Japanese finding may supply the best explanation for why, in clinical experience, vitamin C is most effective against viral infections. Phagocytic respiratory bursts are more important for bacterial than viral defense. Since animals upregulate ascorbate production under all kinds of stress, not just viral infections, it seems probable that vitamin C aids health by multiple pathways, not only by antiviral activity. Based on Cathcart’s testimony, thousands of patients with infectious diseases have benefited from high-dose vitamin C. Although mechanisms are not well understood, vitamin C probably helps along multiple pathways. A well-tested therapeutic strategy would be to take 4 g vitamin C every hour with water until bowel intolerance is reached. The therapy is extremely safe, and its effectiveness is usually apparent within days. Given its safety and the ease of testing its effectiveness, why shouldn’t every seriously ill person try this therapeutic strategy? Is there any good reason NOT to try it for at least a few days to see if it has an effect? Lewin S. Vitamin C: its molecular biology and medical potential. New York: Academic Press, 1976, p 109. Cited in Ely JT. Ascorbic acid role in containment of the world avian flu pandemic. Exp Biol Med (Maywood). 2007 Jul;232(7):847-51. http://pmid.us/17609500. Full text: http://ebm.rsmjournals.com/cgi/content/full/232/7/847. Klenner FR. Massive doses of vitamin C and the virus diseases. South Med Surg. 1951 Apr;113(4):101-7. http://pmid.us/14855098. Cathcart RF. Vitamin C, titrating to bowel tolerance, anascorbemia, and acute induced scurvy. Med Hypotheses. 1981 Nov;7(11):1359-76. http://pmid.us/7321921. Cathcart RF. A unique function for ascorbate. Med Hypotheses. 1991 May;35(1):32-7. http://pmid.us/1921774. Thomas WR, Holt PG. Vitamin C and immunity: an assessment of the evidence. Clin Exp Immunol. 1978 May;32(2):370-9. http://pmid.us/352590. Nandi BK et al. Effect of ascorbic acid on detoxification of histamine under stress conditions. Biochem Pharmacol. 1974 Feb 1;23(3):643-7. http://pmid.us/4132605. Furuya A et al. Antiviral effects of ascorbic and dehydroascorbic acids in vitro. Int J Mol Med. 2008 Oct;22(4):541-5. http://pmid.us/18813862. Riordan HD et al. A pilot clinical study of continuous intravenous ascorbate in terminal cancer patients. P R Health Sci J. 2005 Dec;24(4):269-76. http://pmid.us/16570523. Hoffer LJ et al. Phase I clinical trial of i.v. ascorbic acid in advanced malignancy. Ann Oncol. 2008 Nov;19(11):1969-74. http://pmid.us/18544557. Andreasen CB, Frank DE. The effects of ascorbic acid on in vitro heterophil function. Avian Dis. 1999 Oct-Dec;43(4):656-63. http://pmid.us/10611981. As usual, very good article, Paul! Second. There is a paper from Dr. Abraham and Dr. Brownstein(two of the iodine doctors), that showed that a defective cellular transport mechanism for iodine could be fixed with vitamin C (http://www.optimox.com/pics/Iodine/IOD-11/IOD_11.htm). Since there is various infections related to Hashimoto, I wonder if this doses of vitamin C were not killing some pathogen that were interfering with the iodine transport. Based on Cathcart’s work I rather like the idea of bowel intolerance telling me when I might be taking too much. Commercial fat-soluble forms of C (e.g. ascorbyl palmitate) are very expensive, as you say. This homemade recipe I have no experience with. Heat destroys vitamin C, so mixing the hot water needed to solubilize the lecithin with the C water might reduce the C content. It seems like a lot of work, and unnecessary if the ideal dose is within the limit of bowel tolerance. But lecithin is a healthy supplement, so I wouldn’t discourage you. In the iodine case, only 3 g/day vitamin C fixed the problem, so it sounds like a deficiency issue. C is needed for carnitine manufacture, carnitine being a transporter of fats to mitochondria. What links does iodine have with carnitine? In the literature, hypothyroidism produces carnitine deficiency (http://www.ncbi.nlm.nih.gov/pubmed/19566473) and carnitine inhibits nuclear uptake of thyroid hormone (http://www.ncbi.nlm.nih.gov/pubmed/11201848). It sounds like the body has some feedback loop in which one way of dealing with iodine deficiency hypothyroidism is to reduce carnitine synthesis which brings more T3 into the nucleus, and this mechanism has the unfortunate side effect that C deficiency may produce hyperthyroidism (Graves disease). In the Abraham & Brownstein link C cured hyperthyroidism in one case. This would link up with the idea, mentioned in Wikipedia, that vitamin C evolved when animals moved out of marine environments in order to deal with a deficiency of iodine. I will have to look deeper into the C-iodine links when I have time. Not today unfortunately. very interesting topic indeed! relating to mario’s questions – what do you think, of all the different vitamin C forms one can buy today, like the “fat soluble” vitamin C ester etc – what is the most advanced and best tolerable form of vitamin C? also, when doing high-dose iodine therapy (say ~50mg/day) to fight a stealth infection for example, wouldn’t it make sense then to include like 10-30g vit C a day into the protocol as well? While I’m sold on the idea of megadose vitamin C for illnesses, I’m not quite on daily supplementation. You’re probably also aware of reports that those who supplement with antioxidants have higher death rates. I’d be interested in your comments on these studies. Hi qualia, Yes, I do think C is worth a trial. Let us know how it goes! Fat soluble C is too expensive I think, see above. (a) The Ristow paper administered vitamin E along with the C, see below for issues with that. (b) Suppression of glutathione peroxidase and zinc-copper superoxide dismutase levels by C supplementation could be dependent upon levels of selenium and copper intake; so far only a small part of “supplement space” has been explored. What would be the effect of co-supplementation of C with selenium and copper? (c) I can easily believe that vitamin C reduces the stress of exercise, but why isn’t the response to that more intense exercise, rather than elimination of vitamin C? Isn’t better tolerance of exercise a benefit for athletic training? I’m not denigrating these papers, there could be reasons to avoid routine gram doses of C. But it needs more research. The benefits of C at 500 mg to 1 g/day in healthy people are more well established than these possible harms. (2) The higher death rates are mainly in trials with vitamin E, sometimes beta carotene, both of which raise death rates on their own. When vitamin C is trialled on its own, the results have been mixed, but on my reading net positive. How do you respond to the several high quality trials of supplementation of vitamin C in the 500 mg range, that found no effect on overall mortality or disease specific mortality? The trials include the Physicians Health Study II for middle aged men and the Women’s Antioxidant Cardiovascular Study. This question relates more to your advice on vitamin C in your eBook and your response to Dennis above about 500 mg a day than the original post on high dose vitamin C for people with active disease. On the other hand, having 500 mg of C not influence outcomes doesn’t jive with the theory of diminishing returns from additional levels of a supplement. I think in general that there are so many factors affecting health that it’s not surprising that any one factor has a small effect. That’s what makes the huge mortality benefits seen from some other supplements — D, K2, for instance — so impressive. In the case of C, our advice is more precautionary. Deficiency is tremendously harmful, but excess is virtually harmless. In trials, the benefit may be non-existent for 95%, but 5% may see big benefits and 0% harm. In trials the 95% dilute the benefits to the 5% out of statistical significance. Since the greatest benefit is likely to come in preventing infections from taking root, and everyone gets exposed to pathogens from time to time, we can’t know which of the 100% will benefit from the supplementation. So it makes sense to take a prophylactic supplement. My strong support for C is colored by my having experienced an infection-induced scurvy. I lost 30 lbs body weight, got 3 cavities, and my aorta was visibly thumping in the chest making me fear an aortic dissection at the time it was diagnosed. Meanwhile, what are the downsides to C? You might have to exercise a bit harder to get muscle growth, but that harder exercise will be less stressful to your cells and mitochondria. That’s not obviously a downside at all. One thing you’ll see in the Pauling/Irwin Stone writings is that they think vitamin C is not really a “vitamin” because the need for it is so variable. “Vitamins” or nutrients generally have diminishing returns and reasonably well-defined marginal benefit curves, whereas vitamin C needs are situation-dependent. It acts more like an endogenous compound whose variable usage is met by internal manufacture, not diet — which of course is what it is in most animals. I agree on vitamin D and K2 and your point about avoiding deficiency is a good one. I don’t have any citations, but I have heard on the internet speculation that a paleo style diet would cut down on the need for vitamin C and there would be less fear of a deficiency from normal intake. I would conjecture that the Inuit and Masai consume limited amounts of vitamin C and do not develop obvious forms of scurvy. I also agree that vitamin C has few identified downsides. However, it is an antioxidant. There are other common so-called antioxidants, including vitamin E, selenium, and glutathione. Is there a particular reason to supplement with C instead of other antioxidants? I’ve also seen those assertions about Paleo diets and C, but I disagree. While eliminating food toxins might reduce the need for C, low-carb diets increase the need, since they suppress C recycling. This is mentioned in the book, search for tissue scurvy in Type I diabetics. The Inuit seem to have developed late-life bone problems which are consistent with C deficiency. Each of the antioxidants has different effects, so I don’t think you can lump them all together. E and beta carotene seem to do damage. C and glutathione are essentially similar in status, C recycles glutathione and glutathione recycles C, so supplementing C is the most straightforward way to improve glutathione status. I happen to think glutathione is extremely beneficial and this is part of the reason I support C supplementation. I do think you need a balance of the natural antioxidants, which is why copper and zinc (for zinc-copper superoxide dismutase) and selenium (for glutathione peroxidase) supplementation, and avoiding iron deficiency (for catalase), are important along with C supplementation. paul, you say “E and beta carotene seem to do damage”. also, in the podcast of the über-cool and very competent byron richards, he recently mentioned new research which shows that the *tocotrienols* complex apparently has incredible positive effects on something (unfortunately i just forgot what for *g*). and wrt beta carotine – isn’t the negative effect just in combination with smoking? i thought the effect in “normal” (non-smoking) population was zero (?). also, what do you think of ALA, n-acetyl-cysteine and milk thistle extract, which both are known glutathione boosters? robb wolf said ALA and MT extract were the only antioxidants he would believe in and take himself if at all. ans how does resveratrol compare with all of this? is there a technical list or matrix somewhere that compares the intra- and extra-cellular free radical scavenging capacity of all those well-known elements? kind of like the ORAC list, but more technical? I think foods are sufficient myself and we don’t supplement E. You’re right to favor the mixed complexes, but go for lower doses and mixes lacking extra alpha-tocopherol. As for the gamma tocopherol, I don’t think the research is adequate to form an opinion about supplements. Alpha lipoic acid looks good. NAC we recommend for treating infections, not otherwise. Milk thistle, I’m a skeptic, it’s supposed to act only in the liver (where toxins go). I think C and selenium and a good diet, NAC in infections, should be sufficient to make liver glutathione. Plant antioxidants I would avoid. I think the natural, mitochondrial antioxidants are going to be more beneficial than food antioxidants that don’t penetrate mitochondria (where antioxidants are most needed) and that suppress ROS signaling. Research might prove me wrong, but so far it seems to support avoiding non-human antioxidants. Resveratrol – I think you get the same benefits on our diet with more safety. It might have therapeutic value in some conditions but more research is needed. I like the idea of using food sources for vitamins, whenever possible. What’s your opinion about the Ayurvedic berry, Amla, as a vitamin C supplement? I believe they use it to treat infectious respiratory diseases, among other things. In general I have faith in traditional foods and medicines — our Paleolithic ancestors were just as smart as us, maybe smarter, and were very knowledgeable herbalists and practical nutritionalists. But I would have to look into the evidence. There are 215 papers in Pubmed on Amla, so it might take me a while. I already take 8-10 grams per day as per Pauling’s theory of heart disease treatment/prevention. Do you thing that substantially higher intake might prove effecacious in curing one with herpes virus (genital type) what a godsend that would be. Hi Lawrence, Vitamin C doesn’t seem to eradicate these viral infections but it does ameliorate severity. Cathcart says flu would still last as long, but people on C wouldn’t be much affected and could work as usual. I would try his technique of going to bowel tolerance, see what happens. If it helps, let us know. Thank you for your response. I never have outbreaks but having the virus does complicate one’s ability to honestly establish new relationships. Oh well. So these effects are from plain ascorbic acid or sodium ascorbate? I have a bottle of pure ascorbic acid powder, i’m planning on dissolving it in water, but I guess there’s no away I can take 5g or more this way. It’s gonna burn my throat. Not to mention corrosion of tooth enamel. Cristiano, both will work … dilute ascorbic acid with enough water and distribute the doses … unless you’re very sick, no need to take more than 4 g/hour. Your teeth will do fine. It’s a weak acid. I can try it out, if it works it would be a huge help. I’m currently undergoing a pretty harrowing treatment for Lyme and assorted infections, so I won’t really be able to tell what’s doing what. But I’ll try it anyway. Anything to kill more bacteria! Giving oral vit C to bowel tolerance is a long-standing treatment for autistic kids, in the biomedical world. Thanks to a lot of antibiotics, my gut is very tender. Which form of C will be kinder? Should I get Ester-C? Love your blog and book, btw. Years ago after reading Linus Pauling, I took megadoses of vitamin C in an effort to deal with my lifelong susceptibility to viruses. I only became temporarily intolerant to vitamin C.
However, my susceptibility to viruses disappeared when I quit eating gluten. Very compelling article (as most of your posts are)… But please tell me you didn’t cite wikipedia as a legitimizing source. My eyes are playing tricks on me, right? Yikes. Is CRP a sensitive measure for the presence of an infection? In other words, does a low CRP rule out the presence of an infection that can do damage? No. You can have a chronic intracellular infection and have a normal CRP. Some intracellular pathogens suppress inflammation as part of their effort to evade the immune system. 1. How does one know when bowel intolerance is reached (or is this a question that just answers itself in practice)? I’m guessing if you are taking the hourly 1g doses, at some point along the way you just “gotta go” to the bathroom. Would you then titrate by waiting two hours for next dose, for example? Or would your gut just sort of tell you when it was time for another dose? 2. Would this be a decent strategy for something as mundane as a head cold? Presumably you would hit bowel intolerance more quickly, so maybe it would be harder to find the dosage sweet spot. Any suggestions for such a scenario? Thanks again – your book is awesome and I am really looking forward to getting the hard copy! Bowel intolerance starts with a kind of queasiness. I would stop the C at that point. If you keep taking C you’ll progress to a mild diarrhea eventually, probably after another 5 g or so. It takes maybe 4-6 hours for the queasiness/diarrhea to disappear, so you don’t want to add C too rapidly after you start feeling queasy. It seems like a head cold would be well suited to this. I think finding the dosage sweet spot is easy. Just go past queasiness into diarrhea once, you’ll recognize the symptoms early and never do it again! I really enjoy your thinking and reference-backed writing. There is evidence that vitamin C supplementation should be used with some caution. (1) Vitamin C increases iron absorption and this could be detrimental to people who have iron metabolism issues (hemochromatosis, hemosiderosis, etc). Too much iron can be dangerous to one’s health (for example see: Kell DB (2009)Iron behaving badly: inappropriate iron chelation as a major contributor to the aetiology of vascular and other progressive inflammatory and degenerative diseases. BMC Med Genomics. 2: 1-79; and Hori A. et al. 2009. Body iron store as a predictor of oxidative DNA damage in healthy men and women. Science 101:517-522). Moreover, body iron storage may increase systemic oxidative DNA damage even in healthy people (Hori et al. 2009). (2) vitamin C can act as a pro-oxidant depending on iron status. Ascorbate reacts with O2, especially when catalyzed by Fe(II), which produces superoxide and then OH radicals that can be pro-oxidant. The combination of iron and the hydroxyl radical (OH) may underlie a number of diseases (Kell 2009). Kell argues that this particular combination is particularly toxic. It is interesting that modern men’s multivitamins do not contain iron along with the vitamin C, while women’s vitamins do (menstruating women lose iron). I would be interested to hear your thinking on these two issues. Thanks for the links, they’re good food for thought. For background, let me review for readers our recommendations for iron and C.
Iron is necessary not only for hemoglobin but for other enzymes and proteins — e.g. catalase, myeloperoxidase, myoglobin – but it is toxic in excess and also highly beneficial for pathogens. Food provides sufficient iron, so we agree with the standard recommendation: no iron in multivitamins or supplements for men and postmenopausal women, multivitamin-iron only for pregnant and menstruating women. In regard to C, we recommend 500 mg to 1 g/day. This seems to optimize health in clinical studies, and is probably roughly the range of our ancestral intake. Most apes get over 2 g/day C; Australopithecus and Homo were probably at or below 1 g/day due to the move to open woodland and the shift from fruit and leaves that it entailed. Still, they probably got much more than the 90 mg/day RDA. Now in regard to the issues you raise, iron toxicity is a major factor in many diseases and in aging generally. So it is definitely a concern. (1)	The mechanism of iron damage is not independent of the rest of the diet. It depends on generation of ROS and peroxides, and excess levels of these are primarily driven by sugar and polyunsaturated fat levels. So one of the advantages of our diet is that it keeps ROS and peroxides always down to physiological levels, where they are used for signaling in a controlled way, and the iron problems shouldn’t develop, or at least should be minimal. (2)	In popular diets the excess oxidation from high carb/omega-6 intake is exacerbated by prevalent copper and selenium deficiencies and resulting deficiencies in zinc-copper superoxide dismutase and glutathione peroxidase. So alternative antioxidants are not intercepting the oxidative species and protecting the iron. (4)	Restriction of iron and C is not necessarily the best way to deal with potential iron-C interactions, since deficiencies of both of these are problematic. So even before getting into molecular biology, I’m thinking that we may be able to avoid the iron-aging issue by controlling carbs and reducing omega-6 fats and maintaining micronutrient status. Although it’s fascinating, I won’t attempt to discuss the molecular biology. Oxidants act as intracellular signaling molecules; the body has mechanisms to regulate these. Iron’s main purpose in the human body is to create and manipulate oxygen species. So there are many molecules which come to bear on the iron problem. Given these complex interactions, it’s very difficult to make inferences about health of the organism from molecular pathways because there are feedback mechanisms and what seems damaging in isolation may be beneficial in vivo. So the best way to judge healthfulness is via the evolutionary, clinical, and observational evidence. And that, I think, supports C supplementation. I would like to try taking vitamin C to bowel tolerance but I’m a bit hesitant about taking such a large amount of the brand I have at home. It has so much more than just C.
Should I just buy some simple ascorbic acid? BTW, this powder has a really bad taste. It doesn’t taste like food, nor like medicine. I can’t take it just with water, and have no idea how else to take it. I usually don’t drink juice and don’t eat yogurt… but even if I did. How much juice can you drink every day? Any advice would be helpful. Thanks! Typical people will reach bowel tolerance around 15 g, which would bring most of those other compounds to the RDA or beyond. I don’t see obvious toxicity concerns however. I think it would probably ease your mind if you did buy some plain vitamin C for the experiment. Then you would know that any negative symptoms were from the C, not the other compounds. I am curious about your observation of visible thumping of your aorta. Did increased intake of Vitamin C alleviate this? I ask because I was diagnosed a while ago with a bicuspid valve along with a mild coarctation of the proximal aorta (the two conditions tend to go along together). This comes along with an increased risk of aortic dissection/aneurysm over my lifetime. I, as well, tend to notice my aorta thumping, though I see it mainly in the middle/lower abdomen, rather than near the chest (i.e. between the breasts). I asked a couple of cardiologists and doctors and they all say that it is normal since I am not particularly overweight and hence don’t have enough fat, skin, or tissue in general to “mask” the thumping. Was wondering what you thought of such a diagnosis, but was especially wondering what you thought of Vitamin C supplementation, or supplementation in general, or diet in general, when dealing with such (non-acute, but, chronically, potentially dangerous) cardiac issues. Keep on doing the great work you’re doing! Sorry for the “double post”, but just wanted to add some more details. My aortic valve’s bicuspid nature allows for aortic regurgitation, which probably figures in aetiology of the coarctation of the aorta. Moreover, probably due to all this, I have a fairly big “pulse pressure”–the difference between systolic and diastolic pressures–usually of around 50 mm hG (I average 115/65 for my blood pressure). I’ve heard that pulse pressures over 40 mm hG may result in increased wear on the heart and one’s system in general. The middle/lower abdomen just below the ribs is where mine was thumping too. My doctor told me the same thing yours did, that the thumping was normal for a thin person. I thought that was a ridiculous thing to say. I think doctors are over-busy, and when they don’t know what causes the problem they often try to get you to go away. The vitamin C quickly fixed the problem. It also enabled me to rapidly gain 20 pounds. Both the thumping and my thinness were a result of the scurvy! In your case, I would advise being well-nourished. 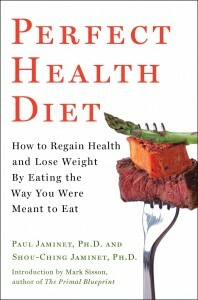 You can look at our supplement recommendations page for what we regard as the most important nutrients: http://perfecthealthdiet.com/?page_id=1066. Most of those are important vascular nutrients. Most aortic aneurysms end up being due to infections of the vascular wall, but you’ll be able to defend yourself much better if your immune system and blood vessels are well nourished. But, I have been taking 2g of the standard GNC vitamin C with breakfast for about 8 months now – and haven’t since had even a tingle in my lips, when I used to get cold sores regularly. No issues with the common cold really either. There are times where I know that my stress level will be high, or that I’m traveling and eating a lot more toxic foods, and I also supplement another 2g at dinner. I have also been curious as to the potential for curing of viral infections with mega-dosing of C. It’s too bad mainstream medicine isn’t doing any type of research in this regard. Absolutely terrific post. Thank you. After reading this post I decided to give a chance to vitamin C and started to take 2grams/day two weeks ago. And it worked. May be it is too soon, but for the time beeing, it works. ¿What do you think about? I’m delighted it worked. Usually chronic infections don’t get cured that easily, so I wouldn’t be surprised if it comes back, but I hope you’ve found the solution and it will be cleared up for good. Rhinitis can have several causes, including fungal infections, which are encouraged by antibiotics because their bacterial competitors are destroyed. C can help anti-fungal immunity and also with bile synthesis which helps secrete fungal toxins. It can also modulate immune function and help with allergies. The vitamin C could be helping in any one of those ways, as well as antiviral immunity. For instance, it could be you have a gut fungal infection that produces some circulating fungal toxins, and a slightly off immune system that produces allergic symptoms in response. So, keep taking it, but keep an eye out for other symptoms that might give you a better clue of cause and what you may still have to fix. I agree with you it´s very soon to be cured. But I think it could be time to make a small self experiment. So I would like to start a antifungal diet variation of the perfectHealth diet. ¿Is this general exposition right? ¿Is this antifungal diet correct? ¿How long should I wait for a result? I’m going to do a blog post later on anti-Candida dieting and supplements. In the meantime, I’ve discussed it in many places in the comments. One place you can start is on the constipation thread, Vincent was able to heal his fungal infection with diet alone and thereby fix his constipation. From the orthomolecular research, it would appear that the RDA dosages recommended as necessary and essential from taking oral Vitamin C(75 mgs/day) and Iodine(150 micrograms/day) are really quite laughable(completely ineffective). In Linus Pauling’s research on Vit C, as clear evidence of this, he says that all mammals except human’s, bat’s and guinea pigs can manufacture there own Vitamin C from glucose in their livers. He also states that just a small goat manufactures 12 GRAMS of Vitamin C per day, which, when the goat is stressed, can rise to 18 GRAMS a day. That is a research fact. So if a small goat needs that amount — what amounts of Vit C per day do you think a larger mammal like humans should take? Does s 75 MILLIgrams(RDA)dose now sound reasonable, logical or acceptable? By the way, Linus Pauling took 20 grams of Vit C per day for decades — and he died at age 93. The evidence for taking much higher amounts of oral iodine can also be completely proved from medical history. The current RDA iodine is 150 micrograms per day. Currently, medical recommendations for oral iodine are that its effect will damage the thyroid in doses larger than 1 mgs or more per day(Wolf-Chaikoff Report-1948). But before WW2, Iodine was widely used in massive dosages by medical doctors. Dosages of 50 to 300 drops(300mgs — 2000 mgs) per day were successfully and commonly used for chronic ailments such as emphysema, asthma and bronchitis. For syphilis, dosages of 20 GRAMS a day were recorded as being used. This is recorded, historic medical fact. I know about these two nutrients because I used them both in “massive amounts” to successfully cure my systemic candida problems. I still take Vit C in gram amounts daily in ascorbate form(alkaline) and I also orally take 5% Lugol’s Iodine — 2 to 8 drops(12.5 mgs to 50 mgs) per day in water(as recommended by Iodine Investigation Project) — and I haven’t gone down with a cold or flu or been sick at all in 6 years. My heart is good, no aches and pains, no arthritis, good energy now and I have no complaints. I’m 62 y o and I now feel like I did when I was 35. But, believe me, it wasn’t always like this — until I got some common sense and saw the light. I wonder what “massive amounts” of C are. And what is the duration. For ten days I’ve been taking between 30 – 60 grams of C a day. Really not sure where bowel tolerance is. On the first day I took 60 grams and had no bowel movement. Got to 30 grams part way thru day two and had diarrhea. Then took another 25 G to finish the day. I assumed that my tolerance level was around 30-35, so I stuck there for a few days. But yesterday I went up 45 and today 47. No problems besides some gas. A few months ago, I did metametrix 2100. Came back high for H pylori and also unidentified low grade fungal and parasite infections. Did triple therapy and a whole whack of “natural” H pylori treatments. Not sure it’s gone, but constipation is better for now. But then I’m taking “massive amounts” of C. Aren’t I? I have no idea why my tolerance for C is so high. Is this how it is? Just keep taking more and more for ever how long it takes to kill what you gotta kill? * There is alot more wrong with you than just H pylori. The reason H pylori is still with you is because serious gut problems are usually caused and aggravated by associations of different types of pathogens and parasites. It’s well known in research that if you have gut diseases like IBS, C diff, H pylori, colitis, gastritis, Crohn’s Disese etc then usually candida, a fungus, is involved as well. So you must get rid of the candida. I’ve had systemic candida and managed to cure it myself. I also had the following problems and symptoms: constant gas and bloating, furry white tongue coating, permanent jock itch (tinea cruris), permanent constipation, bowel movement only once every 4 days, hard painful stools(acid body), athletes foot, psoriasis, insomnia, eczma, heart arrythmias, lethargy, no energy, low thyroid, brain fog, dizziness and vertigo, When, after a year on my own protocol, I had managed to cure my systemic candida, every single symptom listed above just disappeared on its own. No more fungal skin problems, gut healthy again, more energy, mentally alert, heart and BP normal with all aches and pains gone. I’m 62 y. o..
She wrote to thank me for helping her and described herself as “perfectly healthy” now. It took six months on this protocol for her to reach proper health again. Thanks Bill. 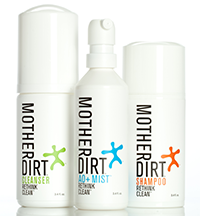 I’ve incorporated most of the anti candida protocol over the years. Not specifically for candida, but as you say, there’s other things to deal with. For example, I quit wheat 10 years ago and all other grains 5 years ago. As prescribed by PHD I’ve reintroduced some rice. I’ve been on ACV and lots of coconut oil for months now and very recently just added H2O2 and borax thanks to earthclinic. Didn’t know [or forgot] that borax should be intermittent, so this was a good reminder. From the Metametrix profile I mentioned above, my H pylori infection was high and definitely seemed to be the biggest concern in my gut. But I was aware that concentrating on killing H pylori, especially with antibiotics, can pave the way for fungal overgrowth so I did many things to hopefully at least keep candida or any fungus at bay. In your Therapy AND Life thread you say “When patients learn that doctors can’t help them, they often turn to experimental self-treatment. 99% of the time, this works out badly”.….. I’ve been thrashing around for years with some hits and misses. The Metametrix profile results gave me some direction and hopefully H pylori is mostly dealt with. I think my diet is good, but my high C tolerance reminds me I still have issues, though I don’t really need a reminder. My gut has been on a roller coaster since I basically quit fruit almost a year ago, cutting sugar [and carb?] intake to almost nil. I ate a lot of fruit for many years. Soon after going fruitless, I found out what nausea was. I never really had that before. I assume now that was millions of H pylori prodding me to feed them sugar. Or maybe just carb cravings. I don’t know. But I felt crappy for months. Dr.s were clueless of course. In oct/nov last year I discovered Peat and PHD. At the time, and for years, I was on low fat and most of it would have been unsaturated . Now I eat a lot of coconut oil and butter. I eat some safe starch, mostly yams and a bit of rice. Protein is largely beef and gelatin. I don’t really count things but I’d guess I’m eating close to PHD recommendations. My liver has been weak for a few years [ALT is often above ref. range], I’m sub-clinically hypothyroid [tsh 3.2] and I’ve always been skinny. So, is it common to not know what the target is but still keep the Mega C guns blazing until a confirmed kill is achieved? From reading here and other sites, I assumed that mega C would be a short term thing. This is day 11. It’s 5:30 PM here and I’m at about 35 grams so far. Well on the way to another easy +40 gram day. I don’t know how sick you are. By doctors’ standards you’re not very sick – some doctors would not treat any of those conditions. But, I think you’re doing things well. I think it’s best to go step by step, as long as you eat well you can try one therapy at a time and see how it works out. Systematic experimentation is more likely to lead to steady progress than doing too many things at once. It’s good that you’re trying out the C, that will give you another indication whether things are getting better. The second point is that many bacteria — including H pylori — are able to protect themselves against antibiotics and the body’s defenses by living inside protective lipid biofilms. This has only been discovered recently. Biofilms are like lipid based micro-slime wherein bacteria as well as viruses and fungi can also live and communicate via chemical signalling. So first, you need to disrupt the biofilms to completely expose these pathogens before you can successfully kill and get rid of the offending bacteria or other pathogens. Candida also uses biofims in the gut. So, how do we get rid of these lipid biofilms without using unnecessarily complex, expensive and side-effect causing drugs? Simple. Soap will disrupt biofilms easily just like detergent disrupts and disperses fats on your clothes. You create soap by reacting any alkali — usually sodium hydroxide or sodium carbonate are used — with a fat. Biofilms are made from fat. Therefore alkalizing the intestines will also create soap in the intestines(by reacting with the fats in the food and in the bile). At the same time, you must take a remedy that directly kills bacteria. That’s the strategy in a nutshell. In my opinion both candida and H pylori occur due to a lack of stomach acid — which protects against incoming bacteria in food and these pathogens also arise due to a lack of bicarbonates which are normally excreted with pancreatic enzymes to create an alkaline environment necessary for main stage digestion. This lack of bicarbonates essentially creates and allows an acidic intestine — the perfect environment for creating candida and bacteria like H pylori and C diff. Bicarbonates, when mixed with fats create soap. Soap disrupts biofilms thus completely exposing the pathogen. Then you can dirctly attack the bacteria/fungus to get rid of it. Dr judd was 38 years in research and spent 18 years in fluoro-organics research. He also has some fairly scathing things to say about fluoride too. Alternative and simple methods of getting rid of H pylori are many. You can use sodium bicarbonate with water or food grade 3% Hydrogen Peroxide or Lugol’s Iodine(solublizes fats) or herbs like olive leaf, cat’s claw, peppermint tea or tumeric(Curcumin). One of the best ways is to use Lugol’s Iodine — Iodine both disrupts biofilms and also kills 90% – 95% of all known bacteria, viruses and yeast/fungus. Only lugol’s iodine gives this double whammy result against bacteria and other pathogens in the intestines and body. I can also add that I have used iodine very effectively against gut problems for myself and other people as well. I know lugol’s iodine fairly intimately now — I know how it can help the body and I’ve used it for myself and for other people’s problems. It has remarkably beneficial effects that just seem to be endless. I currently use 4 – 8 drops(25mgs – 50 mgs iodide/iodine) of lugols iodine per day. This maintenance dose is 4 to 8 times higher than recommended by the Wolf-Chaikoff Report. I’m very healthy now. It’s probably also the main reason why I haven’t been ill with cold or flu or anything in the last 6 years since I started using Lugol’s Iodine on a daily basis. Antibody attacks organ –> Attack and destroy anti-body with huge collateral body and immune system damage and hope for the best. Meanwhile, let’s just treat the symptoms instead. You’re right, most docs wouldn’t treat my problems. 4 years ago when I realized I had at least 20 different symptoms indicating hypothyroidism [some for decades], I had to present my evidence and pester the doc to get TSH tested. It was 4.5 then. I was prescribed synthroid, as that was the only option made available. I’m not really only trying one therapy at a time. I have learned to only add one at a time though. That may be what you meant. The latest addition has been mega C.
I mentioned high ALT above. My bowel can take the mega C, but I’m pretty sure it’s putting a strain on my liver. I’m used to doing that. I go by the edema. It becomes more noticeable, when I take more supplements of any kind it seems. I’ve been dealing with edema coming and going for a few years, and have realized that when it’s worse, ALT will be higher. I think I’ve been in a healing crisis [detoxing] for a few months now [lost count], and edema is part of it. Mega C has perhaps ramped up this process. Paul, you’ve mentioned cholestyramine as a good detox aid. I tried two docs, and neither would give me a scrip, so I’ve given up on that. I think I have liberated free fatty acids on the rampage, going all though me. The most bothersome symtoms are in my eyes. In the morning, eyeballs are puffed up with edema. That goes away, but focus is hard to maintain, and vision is generally screwy all day, especially under artificial light. I was accustomed to all this previous to mega C, but would rather mitigate, if possible. I have charcoal caps. I’ve only ever taken 2 a day and never really noticed any effect. Would it be useful to take 4-6-8 in the last few hours before bed? Max daily dose is 15 caps. I try to eat in the 8 hour autophagy window you advocate, so end of day is the only time that would work. Anything else you’d recommend? I was planning to get some blood tests done tomorrow. Or might results be skewed due to the C binge? The tests are Cholesterol, Trig, HDL, LDL, Creatine Kinase, ALT and fasting Glucose. All these I’ve done within the last 6 months so it might be be fun to see if mega C alters them a lot. But I had to convince the doc to sign off on Serum Fluoride, which I’ve not had done before. I want accuracy on this one. I have to fast for 12 hours previous anyway. Maybe no C during that time is good enough? Sorry for the long post. Thanks for your attention during tax time. Along with other things, before and during H pylori triple therapy I was taking NAC, drops of tea tree oil and other essential oils to destroy biofilms. That’s what Bangkok Ted recommends. I’m not sure if I was creating any gut soap. As for iodine, by way of kelp tablets I’ve worked my way up slowly to 2 mgs a day as per Paul’s recommendations. I just ran out though. I bought what I think is a regular iodine tincture. I haven’t opened it yet. When I look around online, I get the impression that Lugol’s is better than what I have. But Nascent Iodine appears even better. I tried this and to my amazement it took 40-45g to reach bowel tolerance. This seems rather high. What could I infer from this? I have been feeling a little under the weather the past few weeks but nothing major. Could a simple cold / flu virus be responsible for this result? Maybe. Or it could be seasonal allergies, or some other immune activity that has depleted vitamin C. Try sticking with the vitamin C and see if the dose to reach bowel tolerance comes down. If it stays at 40 g, that might indicate a viral infection. It’s been 10 days, time for the promised update. I am still taking vitamin C until bowel tolerance but I have tried to stop a bit sooner than before so the symptoms won’t become too unpleasant. The first three days my intake was between 32-36 grams a day, the past week it has been fairly constant around 24-28 grams. Disappointingly my feeling ‘a little under the weather’ turned into a proper cold/flu episode, which I have not been able to leave behind so far (it’s been a week now). Should I continue taking these large amounts of vitamin C? I think it’s generally a good idea when doing large doses of a supplement to do it intermittently. Stop for a while, see if you get better or worse, then decide how/whether to resume. I’ve re-read much which has been written on Vitamin C on this site and feel that certain recommendations may not be correct. I’ve also read, in Linus Pauling’s writings and research, that humans, primates, bats and guinea pigs all need external sources of Vitamin C. All other mammals manufacture their Vit C internally in the liver. Notably, from Pauling’s research, a small ordinary goat internally produces 12 grams of Vitamin C a day and, when stressed, it can raise its Vit C production to 18 grams a day. 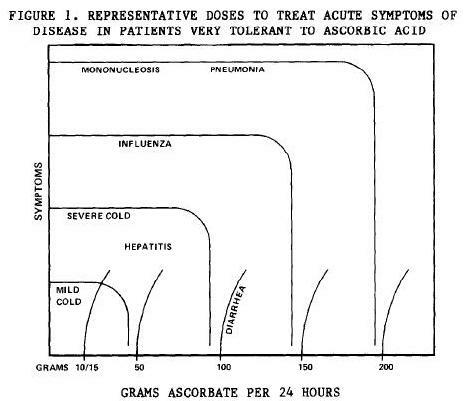 Linus Pauling himself took 20 grams of Vit C a day — as ascorbate not as ascorbic acid. He lived to 93 y o.
Ascorbic acid is also an acid and a pro-oxidant whereas the ascorbate form is a chemical salt and the more alkaline, post-digested and beneficial anti-oxidant form. Avoid calcium ascorbate because there is already too much calcium over-fortification of the body from processed foods today. The Sodium Ascorbate form is by far the best and easiest form of Vit C to supplement. The reason I suggest the ascorbate form is for several reasons. First, ascorbic acid — is acid, which is not the form that should be absorbed into the blood. When you go to have Vitamin C therapy by IV or injection, they do not give you ascorbic acid but give you the ascorbate form. Secondly, if you ingest high amounts of ascorbic acid(a pro-oxidant) it must first be neutralized by bicarbonates from the pancreas and then be converted to ascorbate before proper absorption and utilization in the blood. So, by supplementing such large amounts of ascorbic acid instead of the more alkaline ascorbate form, it is therefore entirely possible that your pancreas will run out of bicarbonates in its alkaline digestive secretions in order to neutralize such a large and continuous flow of ascorbic acid in take. If this is the case, then the upper intestines would themselves become too acid — because of the un-neutralized ascorbic acid(pro-oxidant form) — so dysbiosis and further myriad intestinal illnesses due to further lowering of immune system capabilities may well be the result. What I normally recommend for systemic candida, taking into account all its pathogen associations, is a multiple protocol that involves mainly higher dose lugol’s iodine(fast broadband pathogen killer) as the main candida/pathogen attack remedy, together with other adjuncts of your choice such as Pau D’Arco, methylene blue, coconut oil etc. Then I advise full vitamin support to increase the health of the body terrain and immune system itself as well as additional heavy metal and bad halogen detox methods such as green tea, sodium tetraborate, cilantro, sodium thiosulfate etc. As well, I also use the Berkson Triple Antioxidant Liver Protocol(Google it) taken with Chanca piedra to support both the liver and kidneys throughout when there is a detox or die-off healing crisis. Recently there was a woman in Africa who had a plethora of problems besides systemic candida — she also had GERD, hiatal hernia, esophigitis, gastritis, colitis, thyroid nodules, kidney nodules, fibroids and rapid weight loss. I advised her to use the anti-candida protocols with only protease enzymes and betaine hydrochloride tablets as extra protocols for her low stomach acid problems — nothing else was changed in the anti-candida therapy as shown on EarthClinic. All her problems were healed completely and she later described herself as being in “perfect health”(her description not mine) within 6 months. Because of her stomach problems, I also strongly suspected H. pylori and treated it accordingly. My view is that you will never be able to cure H pylori and associated problems like candida with just mega Vitamin C because it is simply not enough. The African lady that I helped(who had so many problems) had a very strong will. She went through detox and die-off hell and didn’t complain. In the beginning she was taking 30 drops(100 mgs approx) of 5% lugol’s iodine a day, which I reduced to 16 drops and finally to 8 drops a day as things got better and she started to heal quickly. I have also noticed that people don’t like taking this anti-candida protocol because they regard it as as too complicated. Usually, the only people that take it are the ones who have tried everything else under the sun and it hasn’t worked. Trouble is that most people dislike multiple therapies because they perhaps regard them as too complex and inconvenient. But I also have to admit and must also add that I spend a great deal of my own time looking at and studying ignored research to see what really works and, so far, I have not come across any one piece of research evidence where convenience has played a part in helping to cure any disease whatsoever. Thanks for the warning about sodium ascorbate and ascorbic acid. Interesting story about the woman with Candida. By the way, I’ve never said vitamin C is an effective treatment for H pylori or Candida. None of my remarks were aimed at you — your article is certainly helpful and useful and I also have a high regard for Vitamin C usage. Trouble is that there is a certain blurriness in understanding with many people on the difference between using Ascorbic acid or Ascorbate in relation to Vitamin C. Ascorbate and Ascorbic Acid are not the same thing – one is an anti-oxidant and the other is the pro-oxidant form — so there is a big difference in their initial effects on the body when taking large quantities of ascorbic acid or ascorbate. I’m sure you must know what I’m talking about.